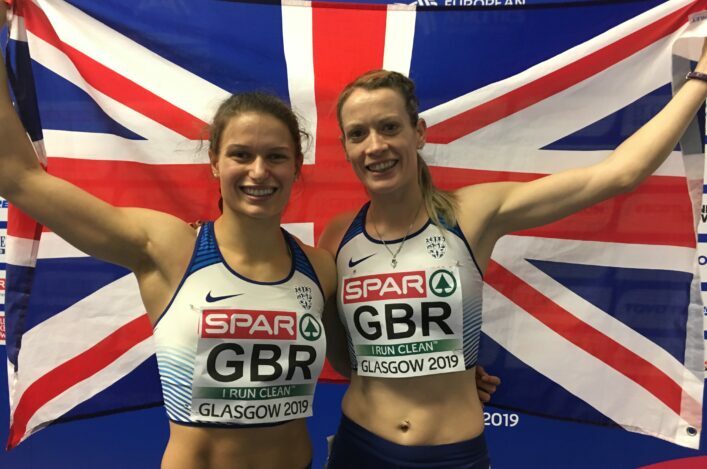 Four Team Scotland athletes made it through to Commonwealth finals at the Carrara Stadium on Monday and Zoey Clark also progressed to the semi-finals in the Women’s 400m. Allan Smith and David Smith will contest the High Jump final and Eilish McColgan and Steph Twell, already looking forward to the 5000m final, made it through qualifying int he 1500m and will both race in two finals. 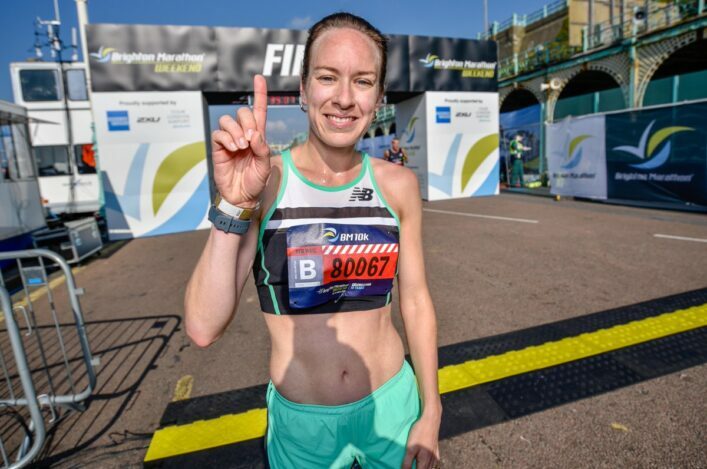 But Beth Potter found it really tough in the 10,000m final, after two triathlon events, and finished in 18th place in a time of 33.26.78, as she made Team Scotland history by becoming the first athlete to contest two different events in the same Games following her triathlon efforts. Eilish and Steph made it through to the 1500m final via two heats that were not without drama. McColgan looked set for automatic qualifying with fourth place but was pushed back into fifth on a time of 4.0688 and had to wait and see if the second of two heats was slower. It was, and Twell profited on the home straight when Kenyan Winny Chebet stumbled 50m from the line. 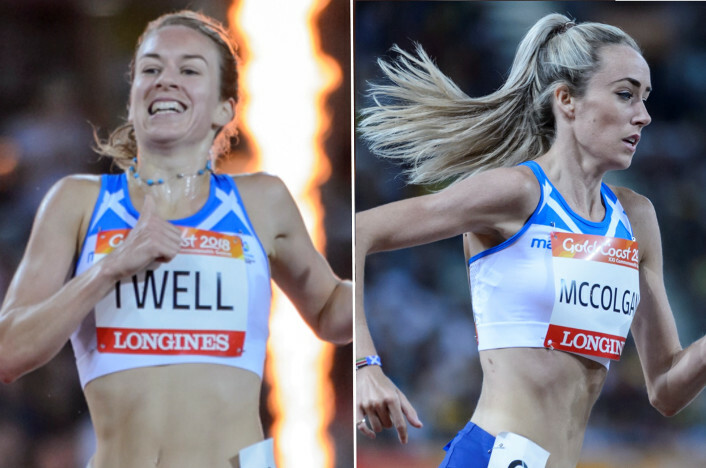 Twell swerved at pace superbly to capitalise and took the fourth slot in 4.08.66 to make certain of joining Eilish in Tuesday’s final. ‘For the first time in my life I actually mis-counted the athletes in front of me and thought I was through in fourth. I looked up at the screen and realised it was fifth and had to wait and see. But, in the end, I was through as the fastest of the qualifiers and it is a case of job done. I think these races will help for the 5000m – the speed-work we have done have hopefully paid off. 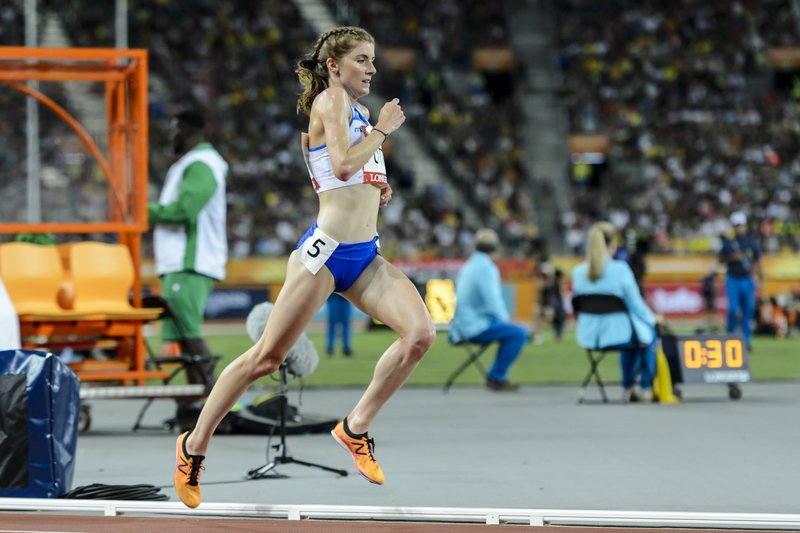 ‘I believe in the final I can get close to or better my PB at 4.01 and that might get me in the mix – depending how the race unfolds. Team Scotland has had a great Games already across the sport and it’s exciting being part of that. ‘What a great feeling it is to take an automatic place and go through. So many times at championships and events I have been looking up and waiting and hoping on times from other people for me to go through. ‘Now I am in a 1500m final again and that takes me all the way back to Delhi where I took the bronze. ‘With 200 to go and 150 to go I wasn’t for giving it up and then there was the faller and I had to swerve a bit and keep going – maybe I will do the steeplechase the next time. Only joking. ‘That was a tough race for me. I wanted to do it and I’ve made history competing in two events at the same Games. ‘I knew it would be hard after the triathlon but I have never ducked out of anything in my life and I don’t want to start now. If the pace had been a little bit slower I think I could have stayed with the pack that bit longer and that would have helped me a lot. Earlier in the day there was progress for all three Scottish athletes involved in the morning session at the Carrara Stadium. 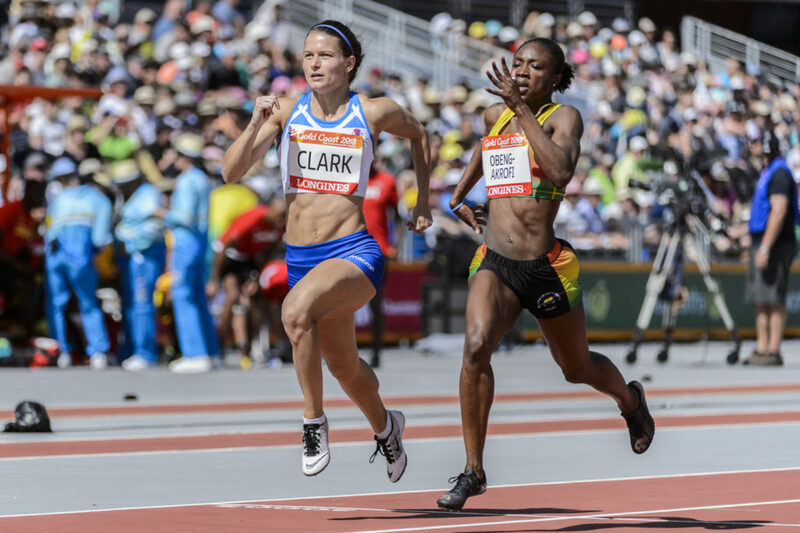 Zoey Clark took second place in her heat in the Women’s 400m with a run of 52.07 to safely reach the semi-finals. 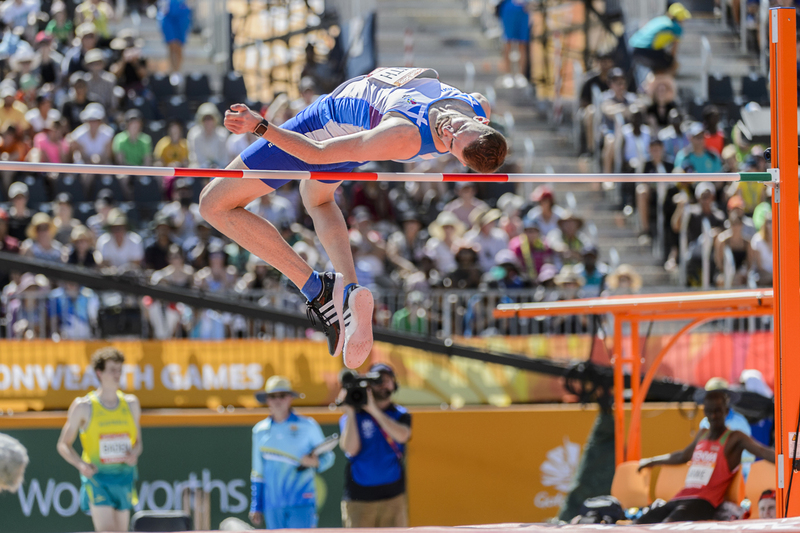 And Allan Smith and David Smith each cleared 2.21m to make the final of the High Jump which takes place on Wednesday evening (Gold Coast time). ‘I am pretty happy with that and it’s great to be in the final. I shouldn’t have needed three jumps at 2.18 – I just got a wee bit lazy on the second one and touched it faintly. ‘Now two of us are in the final and you get a bit of moral support. ‘There was a lot of support in the stands for me from Team Scotland including Mark Dry. He was making himself heard in the stadium again. ‘I am rooming with the big man but thankfully he was allowed to sleep in a spare room after his medal success on Sunday so as not to disturb me coming in late! I can say that the medal made it safely back to the apartment. ‘That was good and I’m delighted to be in the final at a Commonwealth Games. I had some good jumps today so it felt right out there. 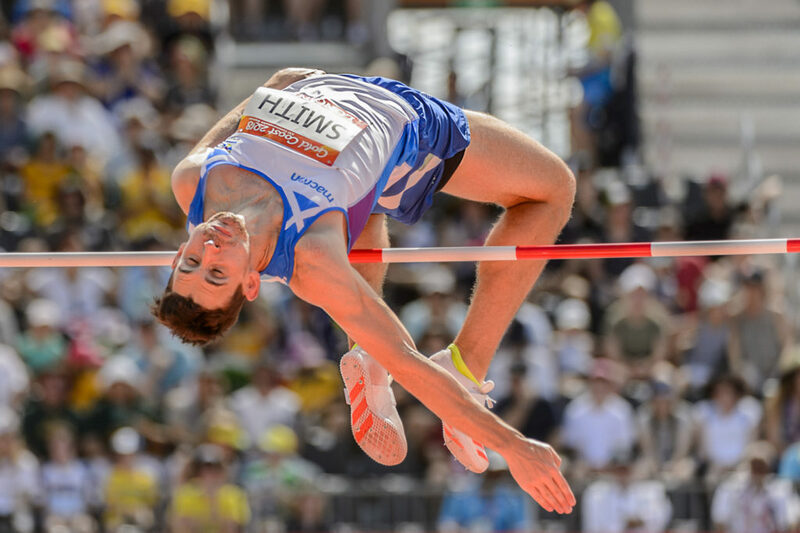 ‘Hampden four years ago was a nightmare for me because basically I jumped while injured and only made 2.11. I was lying in my bed the night before knowing I wasn’t capable of much and was gutted – especially with basically everyone I knew in the stands. ‘It was a good time and it didn’t feel that fast it the race. I am very happy to be through and into the semi. ‘It was definitely getting a vbit ‘busy’ at the top bend for four qualifying places and I had to work hard to be sure of getting through. ‘Maybe I have paced it a little bit better. But it is all about getting the job done at the end of the day. Now I will run the semi as if its the final and think about it that way rather than thinking about the time.